You get old and life's catches up with you...do what she and her husband did and you have a seats reserved in a very special place called hell. You can escape sins on earth, but not when facing God. 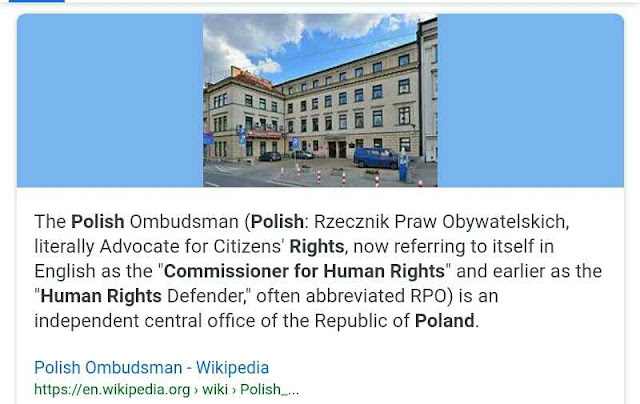 @Israel...I have not met filthier people than Netanyahu yet...you should understand bye now what word "shame" stands for, but you don't. Israeli police on Sunday said they had found enough evidence for bribery and fraud charges to be brought against Prime Minister Benjamin Netanyahu and his wife in the third and most serious corruption case against the Israeli leader. 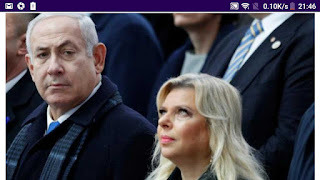 Police said they had evidence to charge Mr Netanyahu and his wife Sara with accepting bribes, fraud and breach of trust in what is known as Case 4000. In this long-running scandal, Mr Netanyahu is suspected of passing regulations favouring the Bezeq telecommunications firm in exchange for favourable coverage on the Walla news website, which is owned by Bezeq’s controlling shareholder. Police say Mrs Netanyahu coordinated the coverage. "The police recommendations regarding me and my wife don't surprise anyone," he said in a statement. "These recommendations were decided upon and leaked even before the investigation began." Police say their investigation includes the testimony of at least 60 witnesses and five years'work. They accuse the prime minister and Bezeq boss Shaul Elovitch, who they also recommend be charged, as having shared a “bribe-based relationship” which saw Mr Netanyahu and his associates intervene in news coverage on an almost daily basis. Calls for Mr Netanyahu’s resignations came quickly from Israel’s opposition, with some calling for the country to go to immediate elections. But even if charged, Mr Netanyahu faces no legal requirement to leave office. His ruling Likud party pulled together a right-leaning coalition after the last election but currently only enjoys a small parliamentary minority, making Israel’s government particularly vulnerable to wobbles. This is the third time police have recommended Mr Netanyahu face corruption charges in as many separate investigations. He has so far avoided being charged in either of the other cases, one of which involved accepting gifts from billionaire friends and the other over trading positive media coverage for legislation.